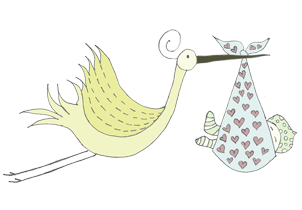 Erika Brent Sage & Zoo - Due Date Contest! Scott and I decided that it might be fun to see when everyone thinks the little one will arrive. Below in the comments add the date you think Baby Hollen is going to show up. The person closest to the due date, but not after it, will get a big box of Jackson Sage goodies. Updated 5.14– Only one guess per day (if you posted a guess before tis update that is fine). We will also give a small box of goodies for the person that guesses the birth weight, without going over. And if you want to, just for fun, add what time you think he will arrive and how long I will be in labor. Guessing closes May 15. Please leave the guess on the blog instead of facebook so we can keep up with who said what since Scott will also be posting this on his facebook page. My official Due Date is June 24. According to our numbers we are really due June 22. Little one at the last ultrasound , on April 29th, was measuring in the 38 percentile and weighted 4.3 lbs. Erika was born 5 week early. Scott was born close to his due date. Due to umbilical cord issues, he is not going to go past 39 weeks. In other words I will be induced by then. As of April 29th he was breech, but I think he has flipped based where he is practicing his kung fu kicks. Both Scott and Erika, were born very soon after their Moms arrived at the hospital– so no long labor. Both of us decided to arrive in the middle of the night. Baby Hollen likes to be quite in the middle of the day and gets crazy active around 8 pm. Erika weighed a little over 4 lbs and Scott 8.7 lbs. The 14th of June, Danny graduates on the 16th, it would be funny as my last graduates from high school, yours starts his life on the outside! That would be really sweet to have him come on the same day as Danny graduating. I can already tell that they grow up too fast! oh dear ~ he’s not allowed to go as late as my b-day, the 26th ~ poo! I think labor will begin the evening of 6/15; full moon. He will be born early morning, 6/16. Birth weight will be 5 lb. 12 oz. Labor time can surprise us all. I knew a woman who went 2 hours with her 1st baby and 16 hours with the 2nd! also says 5.8 on weight, labor 14 hours, 3am. Ok….Im guessing early. 6/2/11 – delivery at 2145 – weighing 5’6″. Can’t wait to get my bag of Jackson Sage goodies!!! hahahaha…. Good luck and best wishes on the bundle of joy! Now just be cooperative and make me a winner. Hmmm…because it’s Jim’s birthday, I’m going to say June 3 (early but not too early), 5lbs 9 oz. OK, but I don’t like it! It means more time inside!!! I want him out now!